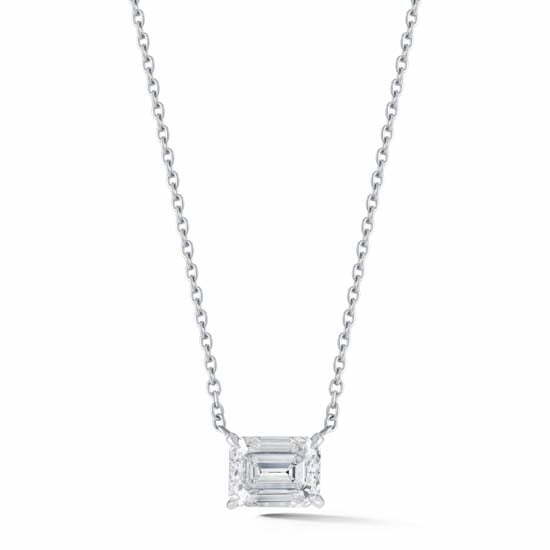 A fresh take on the classic solitaire pendant, this horizontally set Emerald cut diamond pendant on platinum chain is just stunning. Available for custom order in a variety of carat weights, please call for a consultation. Starting at $2500.00. Please allow 4-6 weeks for shipping as this necklace is available for custom order only and will ship upon completion. Email [email protected] or call 212-566-8977 for custom orders and price inquiries. © 2019 Marisa Perry, All Rights Reserved. Design by Seo Image. Become a Marisa Perry Insider by signing up for our email newsletter.